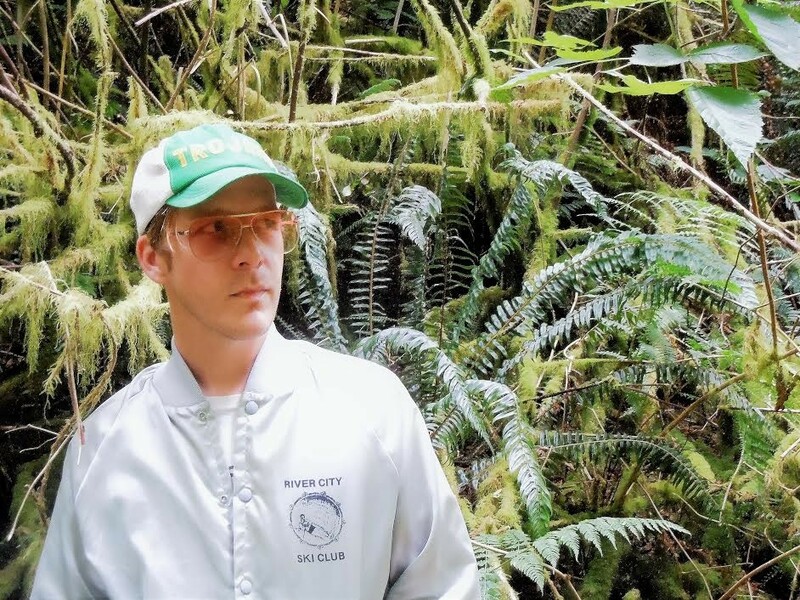 “I never cared for the typical; I kind of like being difficult,” sings James Godwin of James and the Ultrasounds on “None of the Above,” the opening track of the new album of the same name. As a statement of ethos, it’s a fitting introduction to an album that won’t sit still long enough to be easily categorized. Still, the song kicks off the record with a flurry of electric guitars; there’s a hint of surf rock in the drums, a little bit of slap-back somewhere in the mix. Godwin sounds soulful as hell and just shy of coming completely unwound. I can almost see his wide shirt collar and the sheen of sweat plastering hair to his forehead as David Johnson, the band’s gangly bassist, bops around onstage, feeling the bounce in the groove. The song sounds like rock-and-roll should, like it’s blasting out of a glowing jukebox in a crowded, smoky room, even though it’s just my computer and my headphones, played at a reasonable volume. It sounds like the same James and the Ultrasounds I’ve seen in at least half a dozen dives. But the Ultrasounds have done some growing, and as None of the Above keeps playing, it shows. None of the Above, released by Madjack Records, is the Ultrasounds’ second full-length album, the follow-up to 2014’s excellent Bad to Be Here. 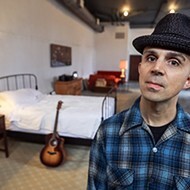 Recorded at Electraphonic Recording and produced by Memphis songwriting and guitar-picking heavyweight John Paul Keith (whose Memphis Circa 3 a.m. is a personal favorite), None of the Above spools out a quick succession of tight tracks, seemingly effortlessly. There’s a definite swagger to the songs on the Ultrasounds’ newest release. 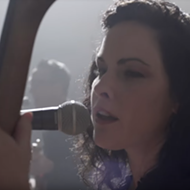 None of the Above shows off a side of the Ultrasounds that’s sometimes eclipsed by the ferocity of their rock-and-roll cool. And the band is cool, cool as a Ramones movie or sweat on a bottle of beer, but they can be tender, too. At first glance, they’re all suit jackets and sunglasses at night, telecasters and stories of hard-partying Serbian concert promoters, but great performers know when to take off the shades and show a little vulnerability. James and the Ultrasounds’ second album slows down long enough to show off some Southern soul and old-school country that’s always been a part of the band’s musical make-up. Godwin traces his tastes back to quiet moments in childhood, times when his grandmother would, if only for a little peace and quiet, tell him to sit still and just listen. “My earliest musical memories are sitting in my grandmother’s house when I was four or five. I would get into stuff, and she would tell me to sit there and be quiet and listen to her music,” Godwin remembers. “She was always playing Patsy Cline or Charlie Pride, always sad stuff. Day after day, I would hear it. “The country influence has always been there,” Godwin says. “Touring with J.P. [Keith], we’d always listen to old country stuff in his van.” A veteran of a slew of Memphis bands, Godwin used to play bass for Keith. Bad to Be Here’s rollicking “Party Dracula” was inspired by a promoter Godwin met while on tour oversees with Keith’s bad. And perhaps some of the cohesion of None of the Above is a result of so many hours already spent together, a shared set of musical references. “John Paul told me one time ‘There’s one band in Memphis, and we’re all in it,’” Godwin laughs. “I was his go-to bass player for a good handful of years. 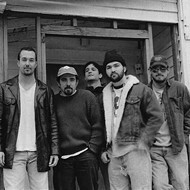 I’ve still to this day probably played more shows with him on stage than with anyone else,” says Godwin. “We’ve covered a lot of ground together, from Memphis to Serbia and everywhere in between.” Whatever the reason, there’s a confidence on display on None of the Above that hints at an easy connection between everyone involved. These songs are tight enough to make the listener suspect the musicians and producer shared a telepathic connection. “I’ve got 27 different jobs, but I still don’t like my odds of getting my money back,” Godwin sings on “New Subtraction.” Drummer John Argroves’ tight tom work on and the doubled guitar lines during the song’s instrumental turnaround evoke a frantic energy that feels like being out of luck and out of gas on the baking asphalt of a Memphis street corner. “New Subtraction” is the Ultrasounds at their unrestrained best, but the band somehow manages to turn up the heat still more a little later in the record. Keith brought in the award-winning Billy Gibson, aka the Mississippi Saxophone, to contribute his much-lauded harmonica skills to “Am I Crazy.” Gibson channels the mood of the song, ripping riffs from his harmonica that sound fearlessly deranged. Gibson’s wailing harmonica sits on a bed of bumping bass and crunchy guitars. There’s plenty on display here for any fans of Bad to Be Here’s reckless rock-and-roll energy. For all the added subtlety of the new record, the Ultrasounds still know how to crank up the amps and wake up the crowd. Now they just know how to do it with harmonica, too. “Drop the Act” is a soulful, heart-wrenching song, with Godwin pleading for honesty over warbling organs in 6/8 time. A motif runs through the lyrics on None of the Above, and it’s on full display on this track. Lovers leave, lies are told, money is in short supply, and there are sleepless nights to spare. Tires go flat and need to be repaired. But if Godwin sounds like someone who knows how it feels to be locked out, shaken up, and shaken down, he seems to know when to laugh off his bad luck and when to shoot straight with the listener, to admit “I suppose that much of the blame is mine.” As a result, no matter how dark it gets on None of the Above, the problems never appear insurmountable, and Godwin never shades into the maudlin. If Bad to Be Here is the Ultrasounds’ punk-tinged rock-and-roll record, then None of the Above is the band plunging deep into the country and soul that were rock’s first influences, its grandfathers. For all the instrumental energy on display, the band puts the 11 songs on None of the Above through their paces with cool grace, almost making it look easy. And the addition of organ adds a frequency to the Ultrasounds’ sonic spectrum, opening up new spaces for the band to explore. The result is a matured sound that feels like an evolution for a mainstay of the Memphis music scene. 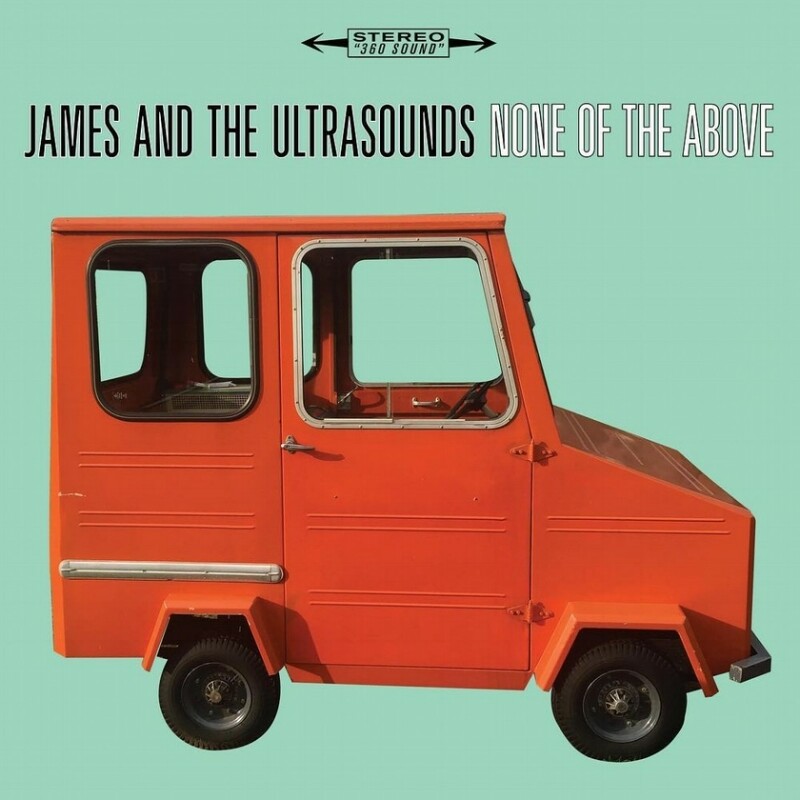 James and the Ultrasounds play an album release show for None of the Above at Bar DKDC, Friday, August 24th, at 10 p.m.